Singapore, Florence, New York, Melbourne, Hong Kong, Tokyo, Paris, Roma, …all these places are well-known for being incredible places full of history. I’m sure you think the same if you’ve ever been there. Their particular architecture often allowed them to figure on The most beautiful cities of the world’s lists. But, today guys, let’s forget about architecture, about history and culture, and let me show you guys some unique views; which makes these places unique is their raw aspect. This place is the tallest sand dune in Europe. The volume of this dune is about 60,000,000 m³, measuring around 500 m wide from east to west and 3 km in length from north to south. Its height is 107 metres above sea level. 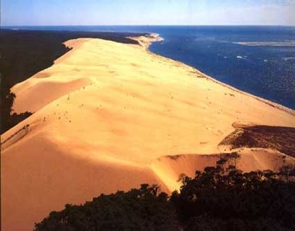 The interesting part of this place is the sand dune is surrounded with forest. This place is also known as Tepuy Roraima and Cerro Roraima. 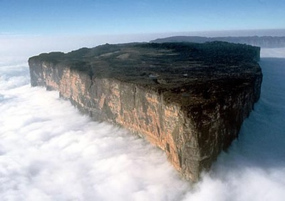 It is the highest of the Pakaraima chain of tepui plateau in South America and with sheer 400-metre high cliffs on all sides. It rains almost every day at the top of this place and it forms some of the highest waterfall in the world. This mountain has held a special significance for the indigenous people of the region, and is the centre of many myths and legends. 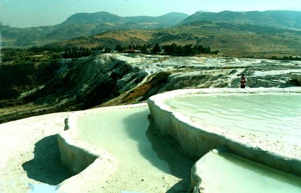 The name Pamukkale means, “cotton palace” in Turkish. This is a place that contains with hot springs and travertines, terraces of carbonate minerals left by the flowing water. This “castle” is about 2,700metres long, 600m wide and 160m high. You may experience a different “bath” in this place. 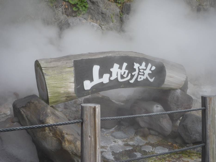 Why it is called Nine Hells of Beppu? 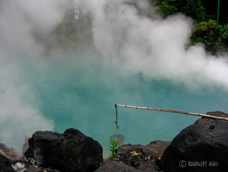 Because Beppu contains 9 major geothermal hot spots. Some of these hot spots are located in the Kannawa district and some in Shibaseki district. The "sea hell" features a pond of hot, blue water. It is one of the most beautiful hells. 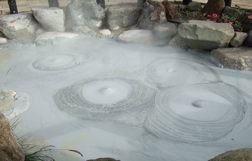 This hell is named after the mud bubbles, which emerge from boiling mud pools and look like the shaven heads of monks. 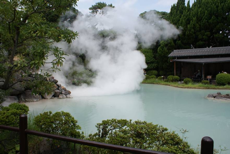 According to its name, the "white pond hell" features a pond of hot, milky white water. The "mountain hell" features small ponds of steaming hot water and a small zoo with small cages. 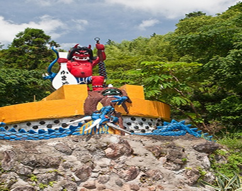 The "cooking pot hell" features several boiling ponds and a flashy demon statue as cook. 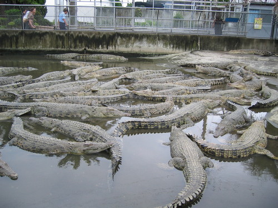 Crocodiles are bred and kept on the grounds of the "monster mountain hell". 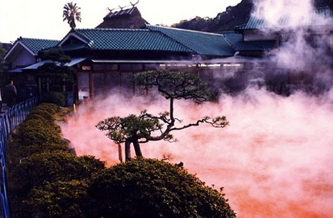 The "golden dragon hell" features a dragon statue and a greenhouse, heated by the hot spring. 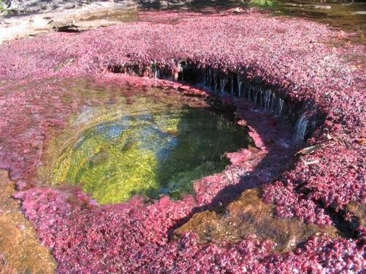 The "blood pond hell" features a pond of hot, red water. It is the most photogenic of the nine hells. 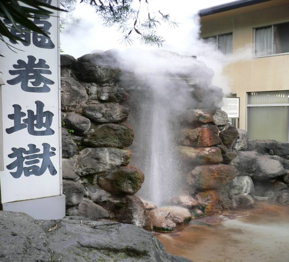 The "spout hell" features a boiling hot geyser, which erupts every 25-30 minutes for about five minutes. 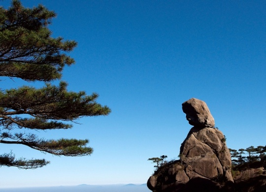 This place is located at Jiangxi Province and considered a sacred place used by Taoists for meditation. This is a place where you can be close to the nature and it is also one of the most beautiful mountains in China. 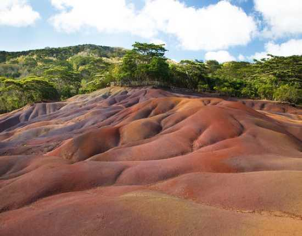 The colored earth is a unique place where the earth is unusual. Volcanic rocks that cooled at different temperature and formed beautiful patterns of color in the exposed hillsides created it. Whereas the Chamarel Falls are three thin waterfalls that fall about 300 ft. down a plateau. Rio Tinto is a river in southwestern Spain that originates in the Sierra Morena mountains of Andalusia. This river has been mined for silver, gold, and others minerals. 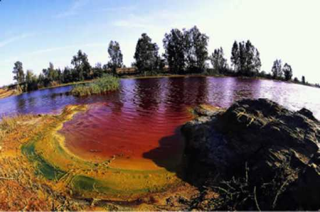 High levels of iron in the water caused the red colour of the river. 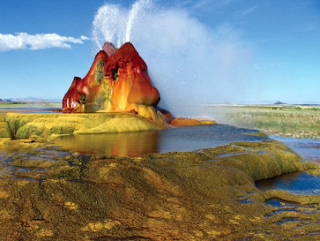 This place is also known as Fly Ranch Geyser. The Geyser is not an entirely natural phenomenon, and was accidentally created in 1916 during the drilling of a well. Dissolved minerals started rising and piling up, creating the mount on which the geyser sits, which is still growing to date. Today, water is constantly squirting out reaching 5 feet in the air. 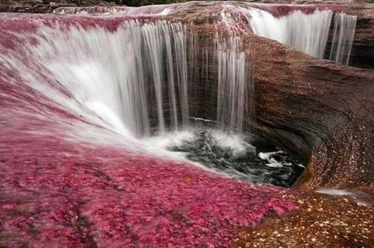 Cano Cristales is a river located in the Serrania de la Macarena Mountains. It has been referred to “river of the five colours”, “the river that ran away from the paradise”, and also “the most beautiful river in the world”. Caño Cristales is filled with waterfalls, rapids, wells and hollows, with water so clear that you can see all the way to the bottom. There is a unique species of plant that lines the river floor called Macarenia clavigera; these species turns a brilliant red during certain season. 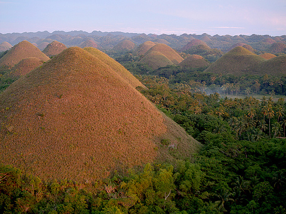 Wondering why is the place named by Chocolate Hills? Is it a hill full of chocolate? These hills are covered with green grass, but when it comes to dry seasons, these green grasses will turn into brown colour. This is where the name came from. There are at least 1,260 hills in this place and you could imagine how pretty the place will be when all the grasses turn into brown colour. 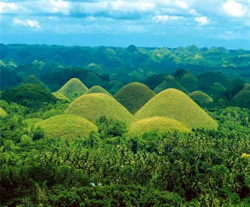 This place has been declared the country's third National Geological Monument. How do you feel after viewing so many impressive places in the world? If you are thinking to have a relax trip and stay away from the hectic city lifestyle, you may pay a visit to some of these places. Hope you have a wonderful and memorable trip! Best PR movies of these past years.